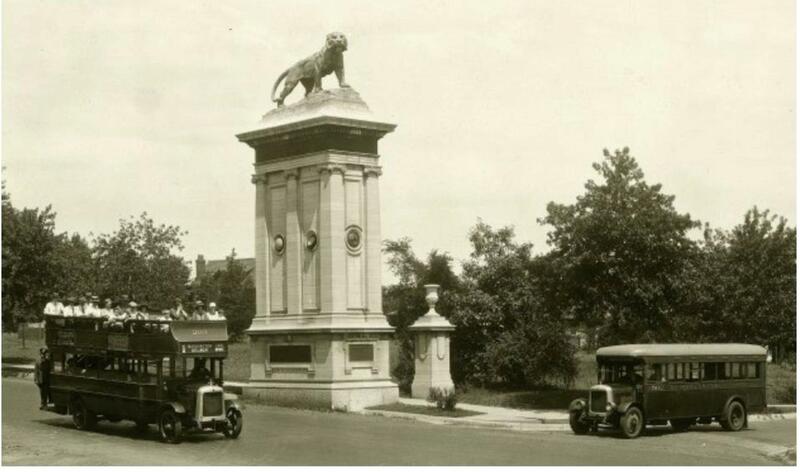 Did you guess the location of today’s photo, which shows Peoples Motor Bus Company buses? The telltale hint is the University City Lion Gates at Delmar and Trinity. The year is 1925. This is also near the west end of the Loop Trolley line, set to launch in late Spring or Summer. Look for the historic trolleys to begin rolling up and down the street during testing. Photo courtesy of the Missouri History Museum.